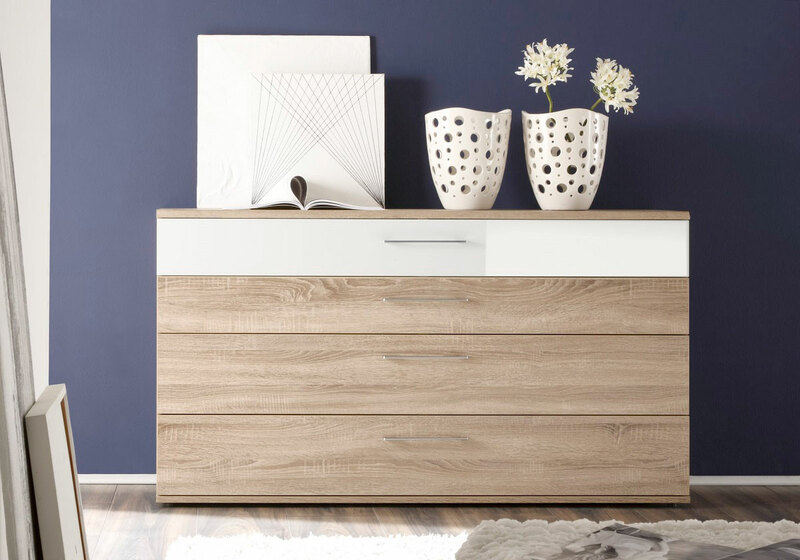 Chest of drawers ideal for any bedroom. Available in different finishes, such as Oak havanna or Oak macao which can be combined with white or sahara high gloss fronts. This item has an approx. delivery time of 8 weeks.